Contemporary lifestyles mean that these days it’s impossible to avoid the stress of hectic schedules and can show on our face. Nevertheless, it’s vital to find a little bit of peace and quiet once in a while, so let us help you reverse the signs of ageing and enjoy being pampered in our clinic by a highly qualified professional with over 27 years nursing experience. Your initial consultation is always free of charge and individual to you. As an Independent prescriber educated to degree level my passion for the last 7 years has been in skin care and nutrition and simple steps can make the world of difference to the way you look and feel whilst also being very affordable. Amazing service all round and what a wonderful team ! Would 100% recommend to any of my friends and family. Just want to say a huge thank you Sharon for my treatment last night. You are a miracle worker. I have had such fantastic comments about my mesotherapy under my eyes. I woke this morning with no eye bags !! I still can’t believe it. After years and years of trying everything including surgery you have achieved what the surgeons couldn’t. Big big thank you. THE BEST – ok where do I start had my lips done a few times before never been 100% happy I’ve always hated my lips never been confident and hated my smile but after visiting orchid aesthetics I am over the moon. Exactly what I wanted half a ml made such a difference the swelling went down within hours and 0 pain after numbing injections. amazing staff made me feel at ease straight away couldn’t be happier. I’ll be back for a top up when needed thanks so much for giving me so much confidence I love my smile now can’t stop looking at them recommending this fab fab place to everyone. All my friends love them and also want there’s done couldn’t fault it. Thanks so so much IN LOVE. I would just like to say how totally delighted I was with the treatment I had a few days ago – fillers and Botox. There is very little evidence of the procedure – just freshness and amazing good (and youthful) looks! The clock has certainly been turned back, and I feel more like me again! 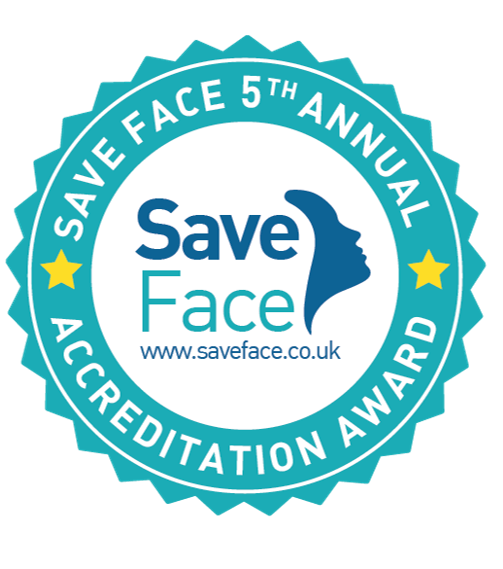 After quite a few years of having aesthetic treatments in the north east, this is by far the best clinic I have been to – in terms of friendliness, professionalism and overall care. I will definitely be back! Always a pleasure to visit sharon in the clinic. She is very professional. No pressure to have treatments. In fact has sent me away before as she thought I didn’t need a treatment. Always talks through side effects and after care. Always available after procedures if I have any concerns. Thanks you so much to Sharon at Orchid Aesthetics for the fantastic treatment I have received. I had been troubled by ugly thread veins on my nose and cheeks for a few years then ThermaVein® was recommended. I contacted Sharon and she talked me through the treatment. I was quite nervous about this treatment as i had never had anything like it before, but i was put to ease by Sharon as she was very friendly and confident. The treatment was explained step by step. I Immediately booked an appointment and I have to say I love, love, love my new look. After my treatments I looked in the mirror and the veins had totally disappeared. I would definitely recommend this treatment 100% and can assure you , you will not be disappointed. Recommended by a friend, orchid aesthetics offers a fantastic range of treatments all carried out with prescion and care . Sharon is highly professional making you feel relaxed and at ease with every treatment. Fantastic results, would highly recommend ! Chose this clinic after being recommended by a friend and having my lip fillers done elsewhere and being unhappy with the results ! Sharon was amazing and my lips turned out perfect ! Highly recommend will defiently returning for more treatments ! Sharon is a true professional. Don’t be fooled by her competitive prices. Her service and skill are second to none. Personally I would never let any practitioner not well qualified near my face! As a nurse myself I am fully aware of Sharon high and accredited qualifications. sharon is one of the most honest people I know. She has turned me away because I didn’t need any treatment on numerous occasions. Always happy with my treatments. Excellent all round I wouldn’t go anywhere else. Sharon is one of the best and most professional aesthetic practitioners I have been to, makes you feel at ease and relaxed whatever treatment you have. Very happy with whole experience….Sharon is brilliant, informative, professional, reassuring and friendly. I would highly recommend Orchid Aesthetics! This was my first time and Sharon made me feel so calm and relaxed. I will be using this service again. The fact that Sharon continually updates her skills and services and is keen to secure accreditation gives me the confidence to use her. Lovely lady would not go anywhere else for treatments. Excellent very professional wouldn’t go anywhere else. Excellent service always maintained with an extremely high level of experience. Sharon is a very nice and very professional lady she is excellent at what she does she makes you feel very relaxed and nothing is to much I would not go anywhere else for my treatment. Sharon is very friendly & makes you feel at ease. lovely service, very friendly & always honest. I am always made to feel welcome & always given great advice. I’ve had a few different treatments and always pleased with the results. Would highly recommend Sharon and Katie to anyone. Always made to feel very welcome and comfortable. I cannot rate Sharon and Orchid Aesthetics enough – the warm, friendly and welcoming atmosphere and highly professional to boot. I wouldn’t hesitate to recommend Sharon and her treatments – it’s so refreshing to have someone so knowledgeable treat you and I, for one, wouldn’t go anywhere else. What can I say,sharon is truly amazing.my confidence has been restored thanks to this wonderful lady.She is the best and the treatment s are excellent. I have been going to Sharon for a couple of years now, and frankly after the first visit I wouldn’t go anywhere else. She is truthful gentle, and friendly. I was immediately at ease on my first visit and have been ever since, she has a calming air about her, and her treatments always make me feel more relaxed and better about myself after leaving. I am always looking forward to my next visit. wonderful treatments from the lovely sharon,caring,friendy service always,1st class !!! 5* rating throughout. I was really pleased with all my treatments. Sharon explained everything throughly and i was thrilled with the results. Would defo recommend. Sharon is so professional in everything she does and makes you feel at ease on every visit. I trust her judgement on suitable treatments and would look to go anywhere else . I have been using Orchard Aesthetics for over a year now and can honestly say have always been happy with the treatments and of course the exceptional customer service you receive every time. Sharon is amazing! Couldn’t have been happier with my treatments. This includes consultation fee and 6 week follow up.